What Wearable Technologies are Important for the Elderly, and Why? Wearable technology might be the most important type of technology for the elderly because it can always be with you and has the possibility of saving your life. The primary benefits relate to safety/security and healthcare, with devices issuing warnings, allowing us to monitor our own health, and summon help if needed. The great graphic above (click here for the original where you can click on each sector for additional information), from the British company Beecham Research, shows the wide range of applications and functions of wearable technology. Below is a large, interesting, and amusing infographic on the history of wearable technology – click on it to see it full size on the Visual Capitalist website. While it gets the 1975 Pulsar watch right as one of the first wearables in the modern era, it misses two other important early wearable technologies. The invention of the transistor allowed hearing aids to become truly wearable in the 1950s. They became fully digital in the 1980s. Additionally, eldercare needs inspired the wearable Lifeline call button (of “Help, I’ve fallen and can’t get up” fame) in 1972, the first Personal Emergency Response System (PERS). In recent years wearable technology has seemed to explode. Today fitness bands, earphones/earbuds (for music and phone use), and smartwatches are the dominant product types. The bulk of these products are currently not designed for, nor used by, the elderly. 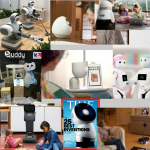 Technology advances in sensors (miniaturization of them and processing components), communications (Bluetooth and emerging “5G” cellular), “cloud computing” and artificial intelligence (AI), all result in a variety of wearable Internet of Things (IoT) devices. That and nanotechnology (body patches and smart clothing) are helping to fuel this explosion. 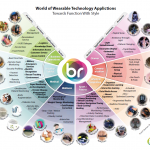 Unique to wearable technology is, in many cases, its interface with our biology, for monitoring (particularly vital signs), therapy, and augmentation. 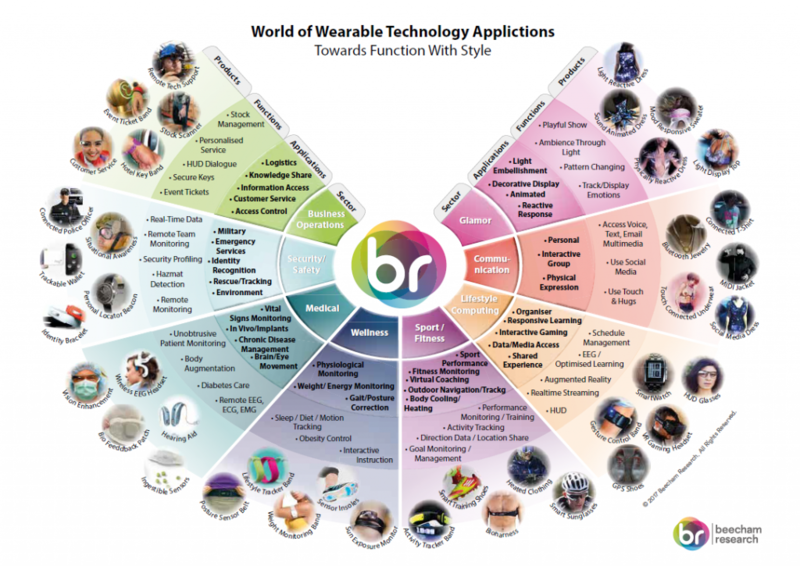 There are two other factors are contributing to the growth of wearable technology. First, it is being applied in numerous areas such as sports, assisted living facilities, manufacturing, and military, for a variety of reasons. Secondly, it has caught the attention of leading universities, such as Stanford and MIT, and government research labs, which are also spinning out entrepreneurial startups. A lot of activity is experimental and a good deal of it is happening internationally. Additionally, much of this activity is intended for clinical use, or for use within institutions and under the direction of professionals. 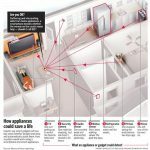 Another current trend is that medical alert companies, are competing with each other and adding better, and more advanced, wearable devices integrated with their monitoring services for use both inside and outside the home. These devices are specifically designed for the elderly, featuring fall detection, calling for help from anywhere, fitness, reminders, and communications. As discussed in the Digital Health article, in order for healthcare to become predictive instead of reactive, and a major future aspect of Digital Health, wearables on millions of people need to contribute the data required by predictive applications which will use machine learning. Two vision related technologies, not related to impairment, are being investigated for potential benefits for the elderly. Augmented Reality (AR) projects images, information, etc., on a view of the real world. Virtual Reality (VR) is a computer-generated visual and audible environment that may be manipulated by the viewer. Examples of AR that could benefit the elderly are assistance when moving about by highlighting potential hazards, help to navigate as pedestrians, or explaining how devices operate. Most VR research relates to cognitive impairment (dementia, etc.). The winner of a 2017 MIT competition for healthcare innovations said: “We’re using virtual reality to improve the way we age, so you don’t become isolated, don’t become depressed, and you can keep your mind happy and healthy”. 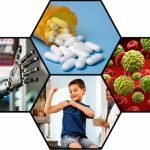 Predictions and some work indicate that the future may go beyond wearable to include ingestible and implantable technology. For more future (and “out there”) possibilities, have a look at this Time magazine article. How is your health? If you are under a doctor’s care for a condition and are thinking about wearable technology for it, your choices may be constrained. Hospital systems and other groups of healthcare providers, and even individual practitioners will evaluate and decide what wearable technology to provide patients if any. A key issue for them, and therefore you, is the ability to integrate the health data, created by a particular wearable device, into the electronic health records (EHR) of patients. This problem is known by the term interoperability. Appearance – products such as medical alert pendants are perceived by many seniors as a stigma and for a long time, many were considered ugly, especially by the ladies. Recently the trend is away from ugly design, and some products are indistinguishable from jewelry. Size – is it going to be too large for your wrist? Too small so easily forgotten/misplaced/lost? Comfort – wrist sensors may be too tight in order to function. Design – most not designed for the elderly. The interaction may be difficult or not understandable. Power – does it use batteries or is it rechargeable? How long? How difficult? How costly? But there is hope on the horizon to eliminate this issue. Certain classes of functionality, for example, vital sign monitoring, can be found in wearable technology products designed for different parts of the body, such as the wrist, or the ear, and may be included within the feature set of devices such as a smartwatch or earphones/earbuds. Do you want, or need, a monitoring service? Medical alert services, which typically have a monthly cost, are used by a lot of people. There are alternatives which can communicate with directly caregivers rather than with an agent when needed. How much functionality do you want, or need? Most products intended for use with people having a specific condition will not include additional functionality. As with other technology categories, vendors tend to add more functions for competitive reasons. Communications – is a smartphone required? Cost – of course, but many may not be covered by insurance. However, that may change if the technology can help reduce the insurers’ costs. Data integration – does your healthcare provider support wearable captured data to be integrated with your Electronic Health Record? Customer support – a particularly important issue for the elderly. You may want to continue on to the article Healthcare and Wearable Technology for the Elderly which includes an overview of wearable technology products. Then don't miss new ones - sign up now! 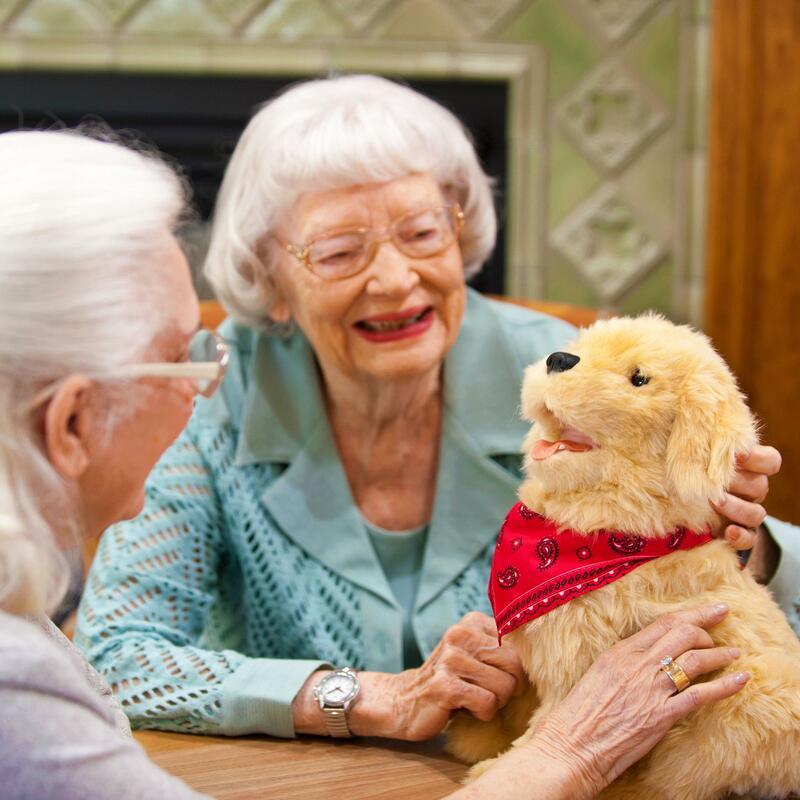 Companion animal robots can provide benefits for dementia patients and elders experiencing loneliness. 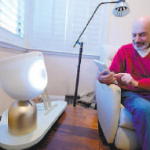 Paro, a robot baby seal, is a well known example targeted for institutional use. 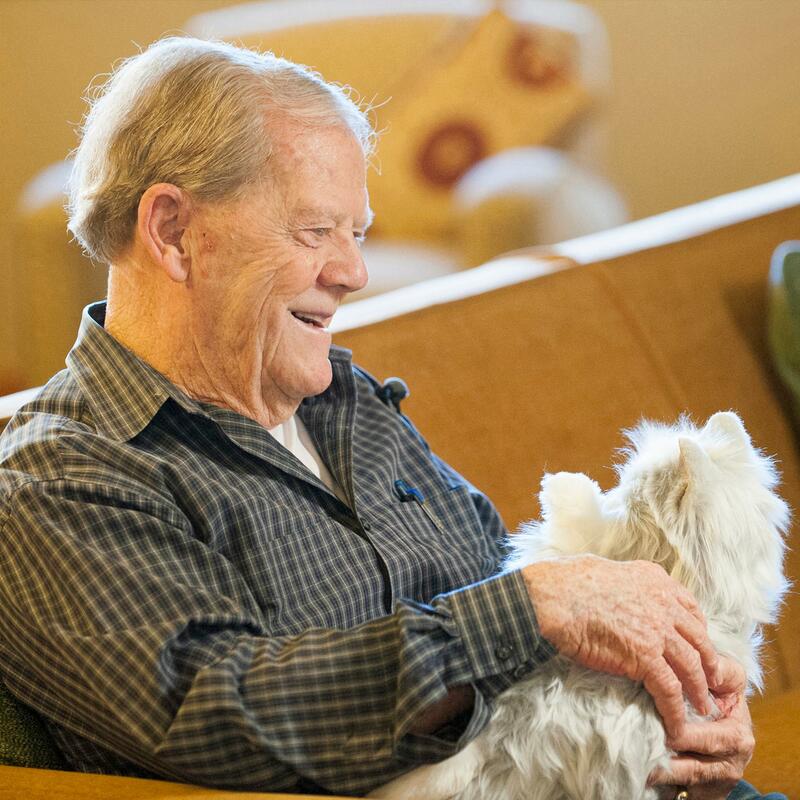 Hasbro offers affordable robotic cats and a dog for seniors in institutional and home use. This is a good report on its use. * From dummies.com: "Dummies has always stood for taking on complex concepts and making them easy to understand."